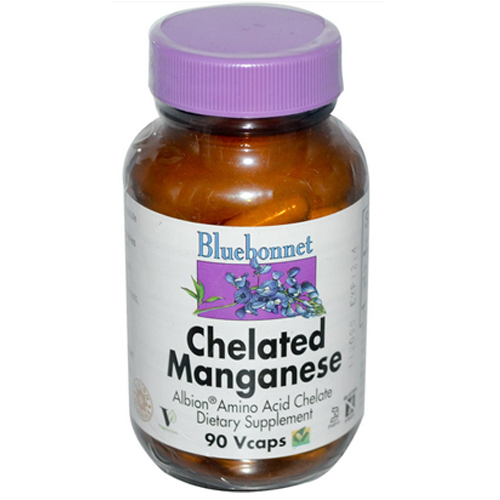 Bluebonnet's Chelated Manganese Capsules provide fully reacted manganese bisglycinate, an amino acid chelate mineral. 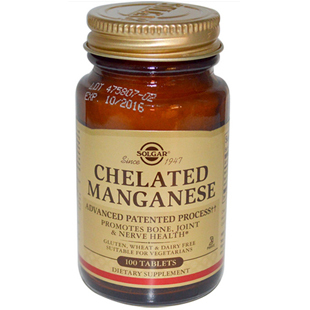 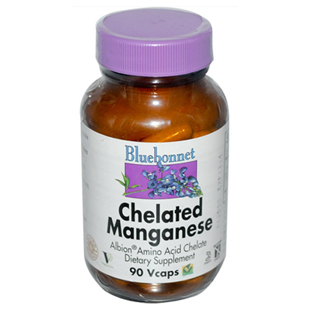 Bluebonnet Nutrition's Chelated Manganese supplement is supplied in easy to swallow and assimilate vegetable capsules. 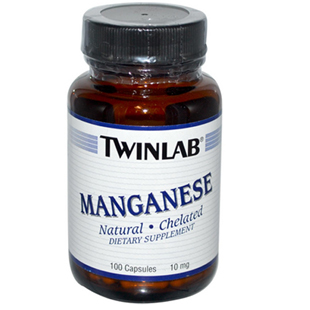 This Manganese supplement is vegetarian, kosher parve and gluten free. 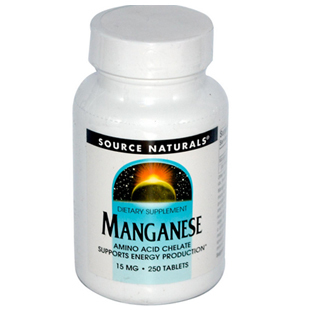 Free from milk, egg, fish, crustacean shellfish, tree nuts, peanuts, wheat and soybeans.